The perfect gift for Valentine's or any time! 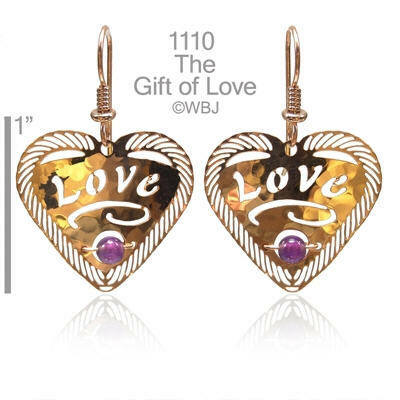 Our beautiful Gift of Love with Amethyst Earrings are featured here in gold-plate with 14k gold-fill earwires. This style is also available in a rhodium (silver) finish with sterling silver earwires.